I have pipe delimited .txt file where dates are in ISO format YYYY-MM-DD. 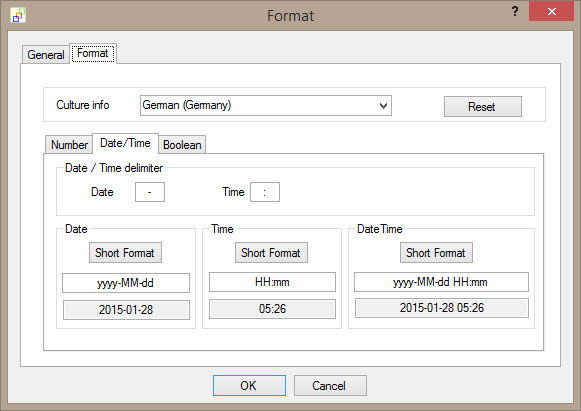 In .txt output (WRITE) I want only records with dates = TODAY - 7 + 30 days. TODAY must auto-change daily. Does someone know how to do it easily? Sample file is attached. First you have to define your Filter condition. For this we need two Parameters $MINDATE$ and $MAXDATE$. 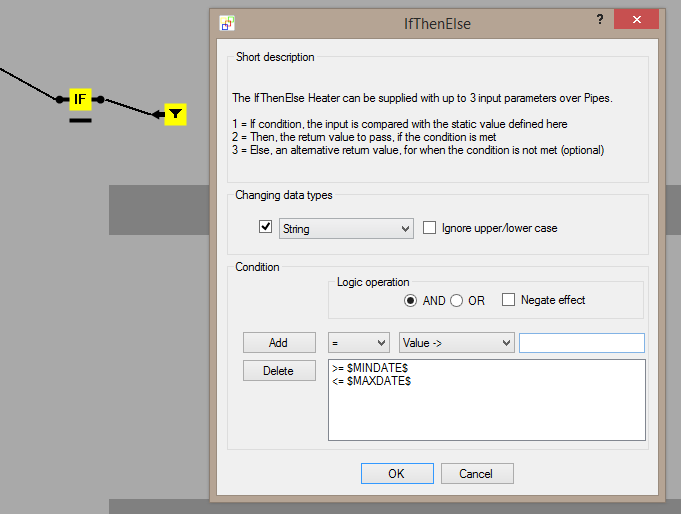 These Parameters can be set with the Set Parameter Heater . The current Date retrieved the Now Heater . This value you have to modify with the DateAdd Heater , one time +30 days and one time -7 days. 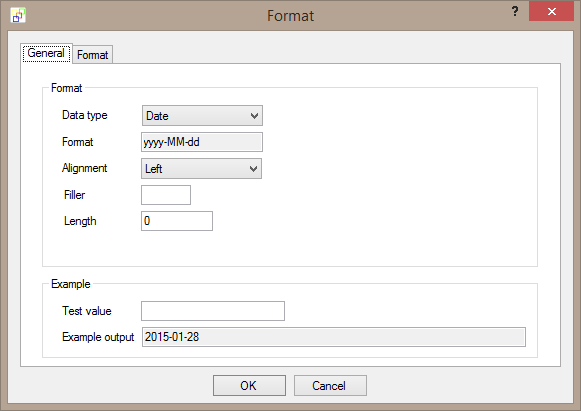 Nevertheless you have to set this values to an ISO Date. This can be done with the String Format Heater . Now we got two dynamical Parameters $MINDATE$ and $MAXDATE. This we just have to add into an IF-THEN-ELSE condition to filter the not needed CSV records. I’ve made a simple example, please have a look to the attachment. Great solution and works perfectly.